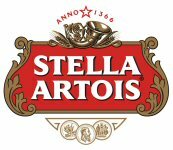 LONDON, UNITED KINGDOM--(Marketwired - March 24, 2014) - Stella Artois, the No. 1 Belgian beer in the world has launched The Chalice Symphony - a year-long collaboration between craftsman Andy Cavatorta and indie rock band Cold War Kids exploring the beautiful sounds of the signature Stella Artois Chalice. The Hive which takes its name from the instrument's unique shape and sound, resembling a soft xylophone. The Pyrophone which adds depth to the symphony with a deep whistling sound, like a boat horn. The Star Harp which uses robotics to play a harp-like sound using strings and the Stella Artois Chalice. "Stella" means "star" in Latin. The Violina which leverages a higher-pitched string sound, resembling a violin for the symphony. This month, iconic rock band Cold War Kids have debuted the instruments in a new single called "A Million Eyes", a soulful ballad which incorporates the unique sounds from the Stella Artois Chalice. The music video and story behind the concept and craftsmanship have been captured in a stunning series of short films which are available to watch at www.youtube.com/user/stellaartoisuk. The "A Million Eyes" track is also available for download at www.stellaartois.com/en/global/coldwarkids, iTunes and Spotify. Debora Koyama, Vice President at Stella Artois, comments: "All things beautiful require effort, determination and a dedication to artistry. And with the Chalice Symphony, we set out to highlight these principles showing that the Chalice is not only beautiful design, but can sound beautiful as well". "This effort to create something so beautiful sounding results from a collaboration that has been a year in the making. We worked with master craftsman, Andy Cavatorta, to create these orchestral instruments and Cold War Kids were the exact type of inventive musicians we needed to bring these instruments to life." Visit www.stellaartois.com for more information and additional content on the Chalice Symphony. Anheuser-Busch InBev is a publicly traded company based in Leuven, Belgium, with American Depositary Receipts on the New York Stock Exchange. It is the leading global brewer and one of the world's top five consumer products companies. Beer, the original social network, has been bringing people together for thousands of years and our portfolio of well over 200 beer brands continues to forge strong connections with consumers. This includes global brands Budweiser®, Corona® and Stella Artois®; international brands Beck's®, Leffe®, and Hoegaarden®; and local champions Bud Light®, Skol®, Brahma®, Antarctica®, Quilmes®, Victoria®, Modelo Especial®, Michelob Ultra®, Harbin®, Sedrin®, Klinskoye®, Sibirskaya Korona®, Chernigivske®, and Jupiler®. Anheuser-Busch InBev's dedication to heritage and quality originates from the Den Hoorn brewery in Leuven, Belgium dating back to 1366 and the pioneering spirit of the Anheuser & Co brewery, with origins in St. Louis, USA since 1852. Geographically diversified with a balanced exposure to developed and developing markets, Anheuser-Busch InBev leverages the collective strengths of its more than 150,000 employees based in 24 countries worldwide. In 2013, AB InBev realized 43.2 billion USD revenue. The company strives to be the Best Beer Company in a Better World. For more information, please visit: www.ab-inbev.com. Andy Cavatorta is a sculptor who works with sound and machines. He found his way into sound sculpture after a life as a musician in the early NYC punk rock scene and later as a robotic engineer. He earned a Master's Degree from the MIT Media Lab by using robotic technologies to create new types of musical sound. Afterwards, he collaborated with Björk for a year, creating music by harnessing forces of nature with new technologies. This culminated in the Gravity Harps used on her Biophilia album and on the tour. He has exhibited at various galleries in Europe, won the 2013 Lincoln prize, and exhibited at TED.